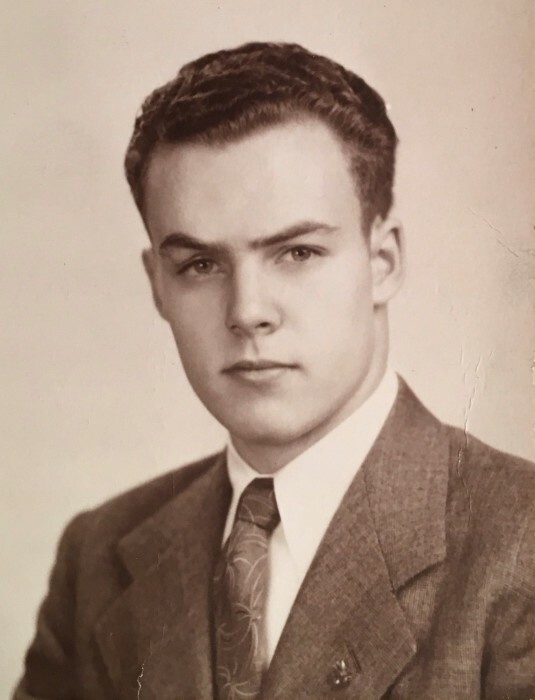 Ogden, Utah - Robert (Bob) William Edwards, 91, died Friday, 04 January 2019 at McKay-Dee Hospital. Bob was born 27 July 1927 in Ponca City, Oklahoma, the son of James A. and Ruth P. Edwards. Bob's father was a founder and president of JESCO Lubricants Co. in North Kansas City, Missouri. He attended St. Francis Xavier Grade School and graduated from Paseo High School, KCMO, class of 1945. He served in the Navy briefly in WW II. He said Kansas City was a great place to grow up. The family moved to Berkeley, California in 1946. Bob began a flying career in Kansas City and joined the USAF in late 1949, was commissioned a Pilot/2nd Lt. 10 February 1951, class of 51-A and rose to the rank of Lt. Colonel. He had 28 combat missions in B-26s in Korea and cargo aircraft in two tours in the Vietnam War. He flew 25 different prop and jet aircraft in the Air Force and was awarded the Air Medal, four AF Commendation medals and 14 other combat and service medals and was a graduate of the Air Command and Staff College and the Industrial College of the Armed Forces. He retired from the USAF as a Staff Maintenance Officer and Pilot on 1 January 1970, at Hill Air Force Base, Utah. Bob then flew as a Captain for Saudi Arabian Airlines for thirteen years on B-737, B-707, L-1011 and B-747s and retired from the airline in 1986, with a career total of 12,000 hours of pilot time. He so loved flying that even after he retired from Saudia, he continued to fly his own Cessna 337 Skymaster. In 2007, Bob was awarded the FAA's prestigious Wright Brothers “Master Pilot” Award for 50 years of aviation professionalism, skill and expertise. Bob is survived by his daughter, Donna M. Edwards; granddaughter, Mystery A. Edwards; Mystery's loving mother, Tammy Barsell (Troy); his nieces, Ginger Edwards; Tish Telles (John); and, Barb Wilson. He was preceded in death by his parents, his wife, Tsuyako Y. Edwards; his son, Scot C. Edwards; and, his brother James A. Edwards (Fran); of El Sobrante, California. Bob said, “It was a good, rewarding and full life in every way and I give my thanks to my family, friends and all those who helped me along the way.” He was a member of the “Greatest Generation” and continually exhibited this in his kindness and generosity to family, friends and strangers alike. He will be deeply missed by those who knew him. A life celebration party is being planned for the spring of 2019.